Now accepting 2019/2020 online applications! Now accepting online applications for the 2019-2020 school year! 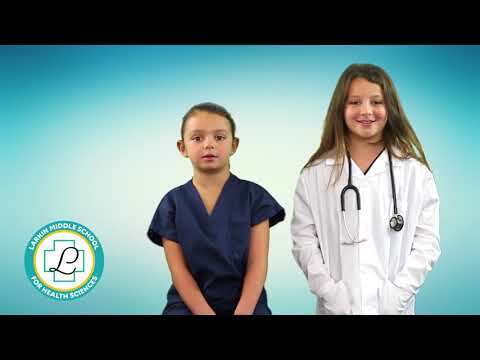 Larkin School for the Health Sciences is a free public charter school open to all middle school students in grades six through eight who are eligible to attend a public school in Miami-Dade County. This includes out-of- district students who are allowed to request admission under Florida’s open enrollment law. Located centrally in Miami in the heart of a thriving metropolis, Larkin School for the Health Sciences offers a unique educational program for students, while placing an emphasis on science, technology, engineering, and mathematics (STEM). Through our approaches to personalized learning, hands-on opportunities for engagement through project-based discovery, and 21 st century educational program, we aim to prepare students for high school, their postsecondary endeavors, and participation in our ever-changing society. By creating connections for students to the Health Sciences Industry, our strategic community partnerships, the Larkin Community Hospital, and related postsecondary programming, students will be compelled to explore a world beyond the walls of a traditional classroom.